The Texas A&M Foundation Office of Gift Planning invites you to join the 7th Annual Women, Wealth & Wisdom Workshop. This free event will feature informative breakout sessions, free breakfast and lunch, and inspiring keynote speakers. There is something for everyone—from beginning finance topics to specialized topics for women in transitional life stages. *Please join Aggie Women for an informal kick-off to Women, Wealth & Wisdom. This event is brought to you by Aggie Women and sponsored by Messina Hof. The event will be held at Messina Hof in Bryan from 6 - 8 p.m. on May 17 and will include networking, light appetizers and a cash bar. Although the happy hour is free to attend, please register on the Aggie Women website for headcount purposes. Need a place to stay while attending Women, Wealth & Wisdom? We have partnered with two local hotels to offer rooms for $129/night. Cavalry Court: Book online or call 866-842-0100 and use group block code WWAWC854 to receive the discount. The Stella: Book online or call 979-421-4100 and use group block code WWW0518 to receive the discount. The 2010 Texas Poet Laureate, Karla K. Morton, will read poems from her twelve collections. Her work takes the everyday, the ordinary, and gives this life a renewed sense of wonder. Because women live longer than men, it stands to reason that women must have a long-term vision and plan to age well within the community. But what are the costs of healthy aging? Depending on the everyday choices you make, it can be more or less than you think. Cindy Quinn from the Texas A&M Center for Population Health and Aging will shed some light on the status of Women and Aging in the US and the actions necessary to age well in body, mind and spirit! Have you ever wondered about what all the alphabet soup around Medicare really means, Part A, B, C, D? This session will cover all of the basics of each part of Medicare. We will also outline how to enroll, when to enroll, what penalties and pitfalls might await you if you don’t enroll on time. After we all understand the basics, we will go into more depth on coverage, what is included and not, what is the donut hole you hear about in Part D, and other interesting facts about Medicare. As a bonus, we will cover some ways to reduce your Medicare premiums too, if you happen to be paying a surcharge. Downsizing has become a bit of a buzzword as our national population ages and seniors have become a larger segment of our communities. At Caring Transitions, we prefer to use the term “rightsizing,” which reframes the discussion of what it looks like to have your home and possessions line up with your season of life. Realistically, “rightsizing” is something we can all do to make sure we are in control of our possessions, rather than the alternative. Whether you are facing personal decisions or are in a position to help a family member "rightsize", you will receive information on how to best handle delicate conversations, establish planning strategies, and practical “rightsizing” strategies. Awareness and planning are the keys to keeping “stuff” from managing you or your loved ones while ensuring your home and possessions are maximizing your season of life. As millions of Baby Boomers get set to retire, many are highly focused on how to plan for the income they will need during this time. At the same time, this is a generation that has always been focused on social change and their ability to “do some good” in the world. What if you could combine these two desires into a single plan? In this session, we’ll learn about the ways you can structure a gift for charity, take advantage of the charitable income tax deduction and other tax benefits, and secure either a lifetime or term-of-years income stream to support you in retirement. Dealing with the death of a loved one is always difficult. The best we can do to help those who will deal with our death is to have our legal affairs in order. This session will address what documents we all need to have right now and discuss the legal process when someone dies and you have to settle an estate. We will talk about different kinds of Powers of Attorney and other estate planning documents, but the focus will be on practical advice to help you (and your surviving family members) cope with this task. Odessa Appel of Healthy Texas Navigating healthy eating in today’s busy and complex world can be a struggle. We get a lot of nutrition advice from the internet, friends, and family, but it can be challenging to truly know what is healthy. In this session, we will provide tips and tricks for healthy meal planning, outline best cooking techniques, and discuss how to make the most of family mealtime. Explore the world of healthy eating with Dinner Tonight! 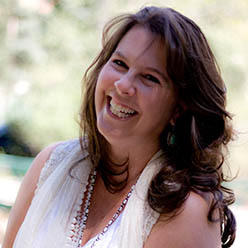 Karla K. Morton, the 2010 Texas Poet Laureate and a member of the Texas Institute of Letters, is a celebrated poet, award-winning author, speaker and photographer. Described as “one of the more adventurous voices in American poetry,” Ms. Morton has been featured on NPR, ABC News, CBS News, Good Morning Texas and in countless newspapers, blogs and magazines. Karla is frequently invited to present as a keynote speaker at conventions, conferences, galas, universities, bookstores and festivals. She inspires, engages and entertains audiences with her warm and feisty spirit, her stories of perseverance and her Texas-sized humor with themes that include: overcoming roadblocks, surviving, never giving up on your dreams and becoming the person you were meant to be. Morton is a Betsy Colquitt Award Winner, Eric Hoffer Award Winner, Montaigne Medal Finalist, two-time Indie Book Award Winner, Tennessee Williams Key West Exhibit Poetry Contest Winner, Green Book Festival Award Winner, North Texas Book Festival Award Winner, nominee for the National Cowgirl Hall of Fame and a Pushcart Prize nominee. She has been widely published in literary journals and is the author of twelve books of poetry, including the award-winning Redefining Beauty (now in its 3rd printing), Accidental Origami, released in 2016 and Wooden Lions, released in June of 2017. Another book, titled No End of Vision: Texas as Seen by Two Laureates, features Ms. Morton’s black and white photography combined with poetry inspired by her photos and written by fellow Texas Poet Laureate Alan Birkelbach. A traveling photography and poetry exhibit by the same name is also being shown in museums, libraries and galleries. An avid photographer, Morton has also had many showings of her black and white artwork, has been nominated for the honor of the Texas 2D Artist and loves to mix poetry with other art forms. Karla is a two-time cancer survivor, holds a Journalism degree from Texas A&M University and currently resides in Fort Worth, Texas. For more information, please visit www.kkmorton.com. 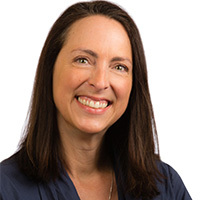 Cindy Quinn has been actively and passionately involved in the implementation of proven health and wellness programs for healthy aging in local, regional and statewide initiatives since January 2009 with the Center for Population Health and Aging (CPHA). She is one of two Texas T-Trainers for the Self-Management Education Programs developed at Stanford including the Chronic Disease, Diabetes and Chronic Pain Self-Management Programs and Cancer: Thriving, Surviving workshop. Additionally, she is a Master Trainer in several other Evidence-based programs including A Matter of Balance and Stress-Busting. As a graduate of Weber State University, she has been able to combine her love of group fitness instruction with gerontology by leading aerobic and senior adult fitness programs such as Fit and Strong! 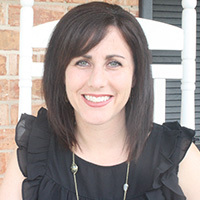 Ms. Quinn is one of the developers of the Texercise Select program and works as the Program Manager for the Texercise Select Research Program and the SUSTAIN grant, a $900,000 Administration for Community Living (ACL) grant. 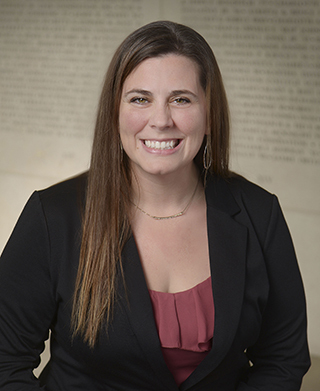 She currently oversees the statewide Texas Active for Life Coalition and is part of an ACL National Learning Collaborative focused on the sustainability of evidence-based programs between public and private sectors. Her family life includes a large family with husband Dan Quinn, eight children, six grandchildren and a dog that walks her daily. Dinner Tonight, a program of Texas A&M AgriLife Extension, provides busy families with quick, healthy, cost-effective recipes that taste great, as well as weekly video demonstrations on cooking tips and techniques, nutrition topics, menu planning basics and information on healthy living. Our recipes are developed, tested, and presented by Extension experts and educators specializing in food and nutrition. In addition to live cooking demonstrations and face-to-face classes, the Dinner Tonight website, weekly email newsletter, and social media channels provide healthy recipes featuring best practices for food preparation and safety. 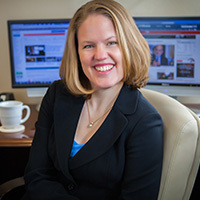 Ms. Dugdale joined Kaspick & Company in 2013 from the University of Colorado Foundation. Ms. Dugdale’s career at the CU Foundation spans over thirteen years in a variety of positions. She served as General Counsel, Senior Director of Planned Giving, Associate Vice President of Planned Giving, and finally Vice President for Gift Planning. 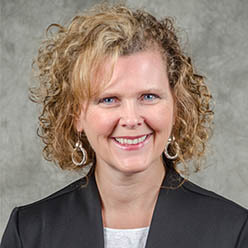 As Vice President for Gift Planning, Ms. Dugdale was responsible for leading the development and integration of a comprehensive gift planning program into the overall development efforts of the University of Colorado’s four distinct campuses in Boulder, Denver, Aurora, and Colorado Springs. Prior to joining the University of Colorado Foundation, Ms. Dugdale worked as General Counsel for Sovereign Financial Services, a private equity firm, and as an associate at the Denver law firm of Holme, Roberts & Owen. Ms. Dugdale received her BA in Political Science and her JD from the University of Wyoming. Mary Elizabeth Herring is an attorney and longtime resident of the Brazos Valley. After twenty-seven years with Texas A&M University, she retired in April of 2016. For the past twenty-five years, she was an Associate Professor in the Department of Humanities in Medicine, College of Medicine, where she taught medical ethics, health law and medical jurisprudence. She was also a former Department Chair. She was born in the Mississippi Delta and grew up in Fort Worth, Texas as the youngest of five children. She was the first and only Aggie in the family, receiving a B.A. in Political Science. She received her law degree from South Texas College of Law in Houston in 1986 and immediately moved to Austin, where she engaged in civil practice for a couple of years. In 1989, she accepted a position in the Office of General Counsel for the Texas A&M University System. 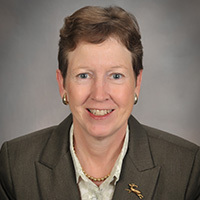 She joined the Health Science Center in 1991 as Special Assistant to the Vice President for Health Affairs and joined the College of Medicine faculty in the Department of Humanities in Medicine. She served on many College of Medicine and University committees and is past Chair of the Board of Directors of Hospice Brazos Valley. In addition, she served as a faculty advisor to numerous student organizations at Texas A&M. Ms. Herring resides in rural Brazos County. A devout Aggie, she spends most of her spare time working with students and community organizations. Natalie Pine is a Partner and Lead Financial Advisor at Briaud Financial Advisors. She joined the firm in 2007 as an Investment Analyst. After completing her CFP®, she expanded her role to that of Financial Advisor and earned partner in 2011. Natalie enjoys her role at Briaud because she gets to work along-side clients to achieve their financial goals. She keeps up to date with each client and their circumstances, the latest tax and estate laws, and new developments in financial planning. She works to bring all of these pieces together to provide creative and comprehensive financial planning, thoughtful investing, and the type of client service she desires for her own family. Prior to joining Briaud Financial Advisors, Natalie worked for New York-based distressed debt hedge fund Davidson Kempner in London, working on investment opportunities in the UK, Germany, France, Spain, Italy, and Switzerland. Before joining Davidson Kempner, Natalie spent two years with Goldman Sachs in London working in the Mergers and Acquisitions department, analyzing companies and opportunities for these companies in the debt, equity or leveraged buyout markets. 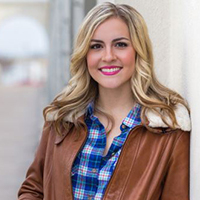 Natalie has a Bachelor of Arts in Managerial Studies, Economics, and Electrical Engineering from Rice University.